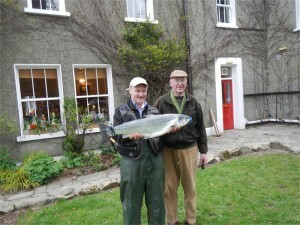 Fishing has picked up here at Delphi in the last week with four fish landed. There were also a few fish lost and a few more seen. Having said that considering the conditions one would have expected more but the fish we got were beauties. Andrew Lyall had the first fish of the week on Tuesday. It was a sea liced fish off Finlough of 7lbs9ozs, taken on a Collie Dog. The fish was taken in Gough’s bay. Needless to say Andrew was well pleased to hold onto the fish this year unlike last year when he lost a fish during a very difficult week with low water and bright sunshine. 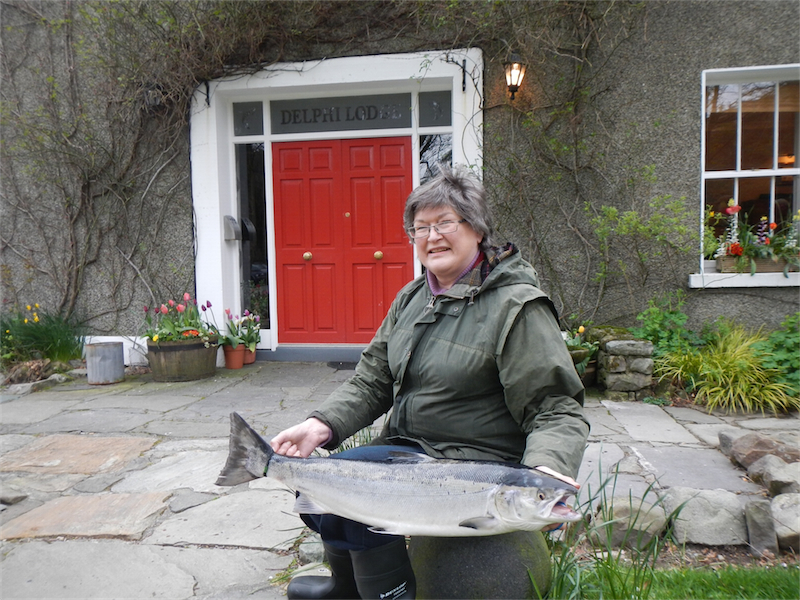 On Wednesday the 9th we had two cracking fish. The first was taken by Victoria Love off the Sunk Rock on Doolough. The fish weighed in at 13lbs and great celebrations followed. 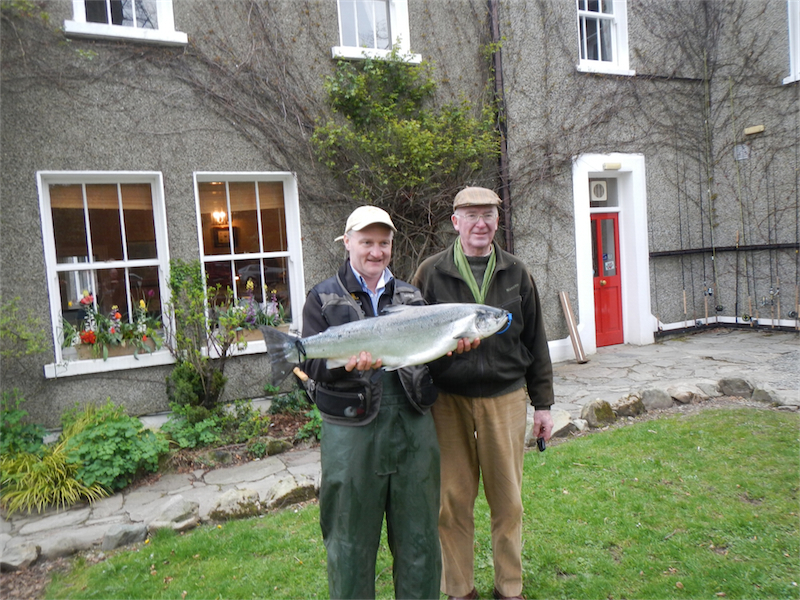 Victoria rightly thought it would be hard to better that fish but I’m afraid Cian Murtagh had other ideas when he landed a beauty of 13lbs15ozs from Duck Run on a Willie Gunn under the watchful eye of Peter O’Reilly. Just when I thought the week was done, Andrew Lyall had his second of the week from Finlough this afternoon. The fish weighed in at 9lbs12ozs and was taken on a Collie Dog. With water levels holding up nicely, hopefully the trend of the last few days will continue and we will see some more fish recorded.